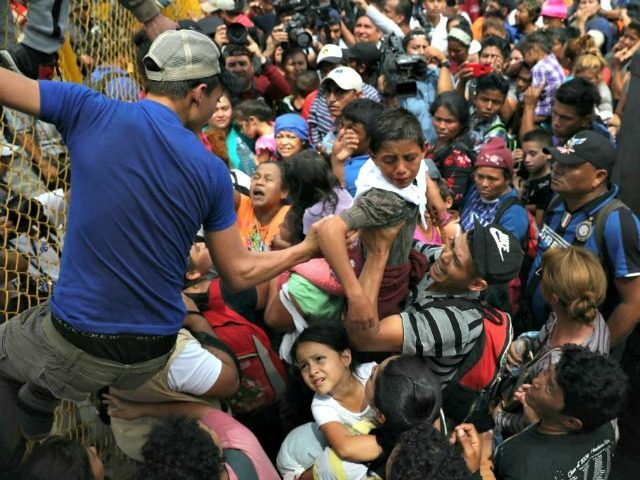 Thread: Gallup: Five Million Central Americans Want to Join Caravans to the U.S. Rising emigration cripples economic development in the homeland, so encouraging the next generation also to migrate. The Mexican labor-trafficking cartels are expanding their business by offering to move people from Indian and African through their smuggling networks into U.S. jobs via the backlogged U.S. asylum system. Last edited by GeorgiaPeach; 11-13-2018 at 08:15 PM. Last edited by GeorgiaPeach; 11-13-2018 at 08:26 PM. Now, the mob has arrived and climbing the fence at the border. Our country is gone. I just hope the invaders keep right on marching and march to every Trump Tower and claim ownership, just like they have done to our country! There are literally BILLIONS of stone age people in the world that want to come here and go on welfare. All of africa and much of asia and latin america. Dems say - " Great - they'll all vote for my party, the welfare party." And every one of these adult losers has 8 kids. Central Americans account for 2.9 million in the U.S.